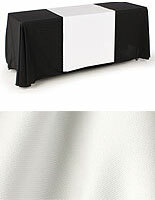 Best Table Skirt Company Online Sells Convertible Tablecloths! 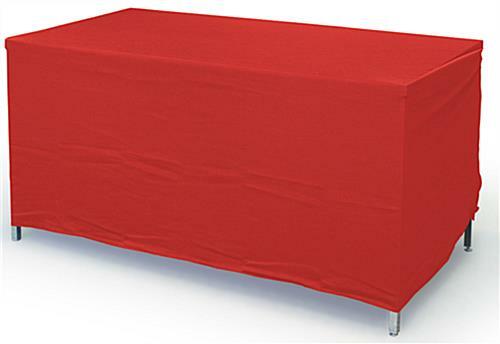 This Table Cover May be Modified to Fit Both 6' and 8' Tables! 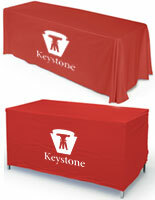 Red premium polyester fabric will last through many uses & travel. 2-for-1 design saves you money yet gives you more presentational options! 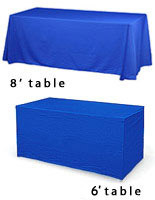 Hook and loop attachments convert your table cloths from 8' drapes to fitted 6' covers. 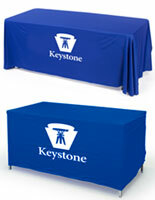 A convertible table skirt is ideal for trade show advertisers that travel from show to show and use the decorator's tables. No more do you have to worry about the size of the table being provided. 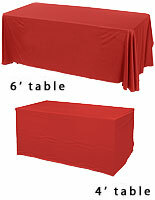 This inexpensive table skirt for sale is designed to adjust for both 6' and 8' tables. When using the 8' tables, no adjustment is necessary. 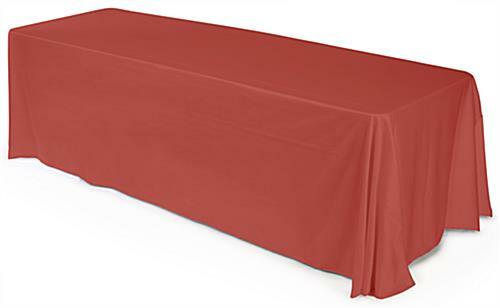 Just drape the tablecloth / table skirt combination over the table. 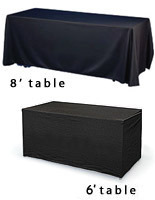 When using 6' tables, fold the fabric using the hook and loop tabs to create a sleek looking presentation on the smaller table. 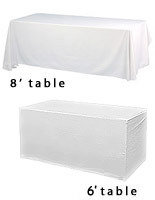 That means this table skirt is like having two tablecloths in one! 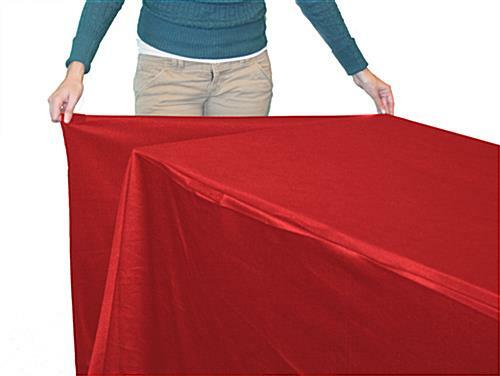 Fabricated of bright red, top-quality polyester cloth, these table throws are machine washable and dryable. They are also fire-retardant, and come with the certificate to prove it!